Home / Pharmacy Technician / What are the Ways to Become a Pharmacy Technician? 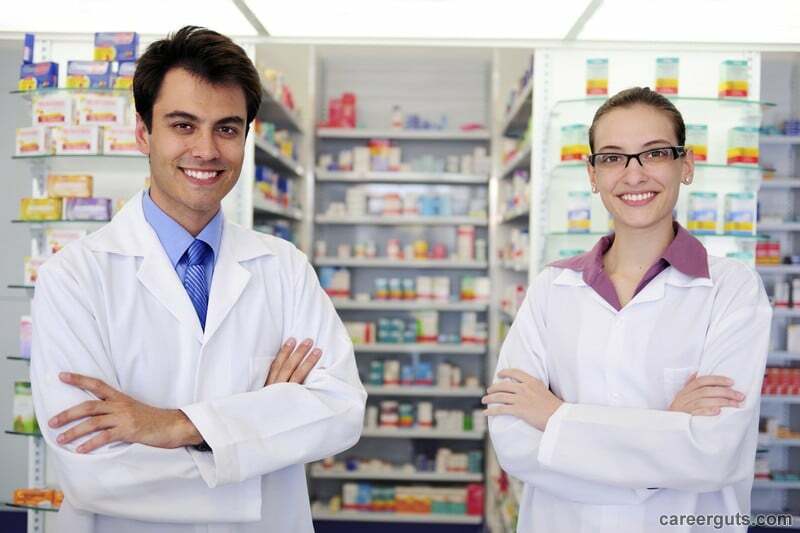 What are the Ways to Become a Pharmacy Technician? If you would like to work in a pharmacy, continue reading to learn how to become a pharmacy technician. One way to become a pharmacy technician is through on-the-job training. For those who work in a retail pharmacy chain, this is likely to include customer service training, phone skills, prescription order processing, and how to use a cash register. Introduction to Pharmacy Practice – An overview of pharmacy fundamentals including a technician’s role in drug distribution. Medication Calculations – This course teaches the necessary skills in medication calculations, measurements, and conversions. Anatomy and Physiology for Mechanical Structures – During this course, students are introduced to the structure and function of the human body. Pharmacy Law and Ethics – This course covers laws that govern pharmacies along with good ethical practices. Medical Terminology – Students learn the basic prefixes, suffixes, and root words related to all body systems. Introduction to Psychology – This is a survey of psychology and includes theoretical and experimental findings and applications from areas such as learning, memory, and personality. Introduction to General Chemistry – A study of general chemistry concepts that includes atomic structure, bonding gas laws, and nuclear chemistry. Health Science Microbiology – This course covers the basic concepts and applications of medical microbiology. Topics will include pathology, immunology, and epidemiology. Principles of Sterile Medication Preparation – This course covers maintaining an aseptic environment, preparing medications, and processing glassware. Topics will include chemotherapy, infection control, and contamination. Drug Preparation – Students gain the knowledge of how to prepare a variety of medications including mixing and packaging. Many students participate in an internship as part of their program. During this time, they work in a pharmacy gaining hands-on experience filling prescriptions, answering telephones, and keeping the work environment clean. Some states require pharmacy technicians to become certified whether they received on-the-job training or completed a program, while in other states it’s optional. There are two organizations that administer national certification: the Institute for the Certification of Pharmacy Technicians and the Pharmacy Technician Certification Board. Some states will accept either and others will accept only one. It’s best to find out what is accepted in your state before sitting for an exam. Both exams are computer-based and contain multiple choice questions. Re-certification is required every two years and pharmacy technicians need to complete twenty hours of continuing education during that time. Pharmacy technicians don’t just work in retail pharmacies. They can also find employment in hospitals, outpatient care facilities, and skilled nursing facilities. According to the U.S. Bureau of Labor Statistics (BLS), employment of pharmacy technicians will grow by twenty percent between 2012 and 2022. This is because of better access to health insurance and healthcare as well as the fact the aging population tends to require more medication. The BLS stated that in 2013, pharmacy technicians earned a median salary of $29,650. Pharmacy technicians have great careers helping patients with their medication needs. If you would like more information about becoming a pharmacy technician, please don’t hesitate to contact us.